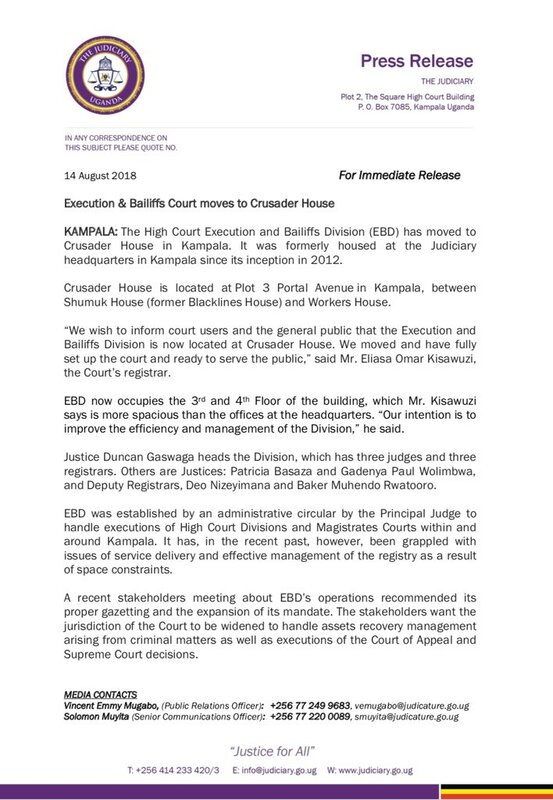 KAMPALA – The High Court Execution and Bailiffs Division (EBD) has on Tuesday, August 14, announced that it has relocated to new home at Crusader House in Kampala. Mr Eliasa Omar Kisawuzi, the EBD Court registrar, confirmed the new development saying that the intention is to improve the efficiency and management of the Division. “We wish to inform court users and the general public that the Execution and Bailiffs Division is now located at Crusader House. We moved and have fully set up the court and ready to serve the public,” said Kisawuzi. 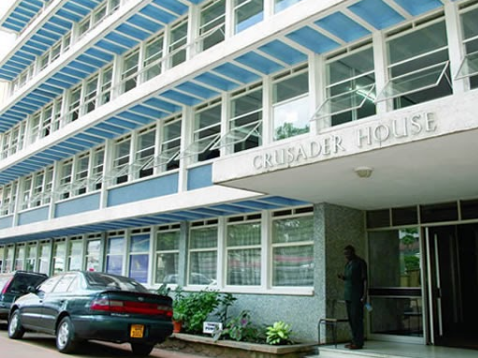 The court was formerly housed at the Judiciary headquarters in Kampala since its inception in 2012 but the new home, Crusader House, is at Plot 3 Portal Avenue in Kampala, between Shumuk House and Workers House; occupying the 3rd and 4th Floor of the building, which according to Kisawuzi is more spacious than the offices at the headquarters. EDB has in the recent been ineffective in terms of service delivery and management of the registry but Mr Kisawuzi attributes the incompetence of the court to space constraints. It handles executions of High Court Divisions and Magistrates Courts within and around Kampala. Justice Duncan Gaswaga heads the Division, which has three judges and three registrars. Others are Justices: Patricia Basaza and Gadenya Paul Wolimbwa, and Deputy Registrars, Deo Nizeyimana and Baker Muhendo Rwatooro.